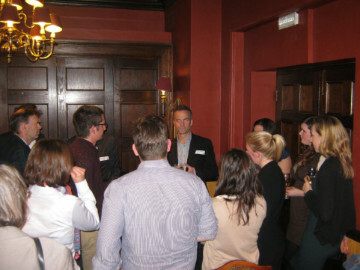 We enjoyed meeting alumni on Thursday 22nd February at our annual London gathering. This year was one of our more informal events, with a chance to meet tutors Conall Mac Niocaill, Joe Cartwright and our new Head of Department, Chris Ballentine at the Old Bank of England, on Fleet Street. We don't yet have a date for the 2019 meeting - please be patient, as we experience staff turnover.